If you want more speed and storage from your personal computing experience, then you’ll be extremely happy with OWC’s data-doubler kits and many upgrades. I put my hands on the OWC DIY 480GB Mercury Electra 6G SSD Kit, which also comes with a 5-piece toolkit for my 17”, later-model 8,3 Apple unibody MacBook Pro. OWC also sent me its 16GB memory upgrade for my laptop with an external USB 2.0 SuperDrive enclosure to use after removing the optical drive. OWC also offers the option of a 480GB drive in an Extreme Pro series, which is slightly higher in price and manages incompressible data more efficiently. This is any data with compression, which includes certain types of TIF, PSD, JPEG, video, sound, ZIP files, etc. I personally opted for the Extreme Pro, so I am able to work with these types of files regularly on my computer. First, I would highly recommend purchasing OWC’s NewerTech 11-piece portable toolkit for $17.95, which makes the job much easier and smoother in my opinion. It will carry you through all your computing mod needs for these types of installations for future use. When using the supplied, 5-piece toolkit, I thought I would strip the screws. The 11-piece toolkit with its longer handle worked like a charm. I would rate the installation relatively easy for those familiar with these types of mods and intermediate for those who have never been inside a computer case. OWC provides excellent online video tutorials that you can easily reference step by step. I would highly recommend them for doing these types of installations. I also suggest paying close attention because the video I was referencing had one step that was a bit different than what I found inside my computer. Apple must have slightly changed the method for removing a ribbon cable, for whatever reason. I almost ripped it from the case by mistake, since I was unaware some double-sided material attached it to the inside. SO, pay attention to the tiny details, which you should anyway. I would also make sure you notice all the tiny, hardly visible screws and carefully remove and put them in a secure place. It’s easy to confuse them. Be certain also to pay close attention to your exact computer model, which is specified by the model identifier, so you know exactly what you have to do. 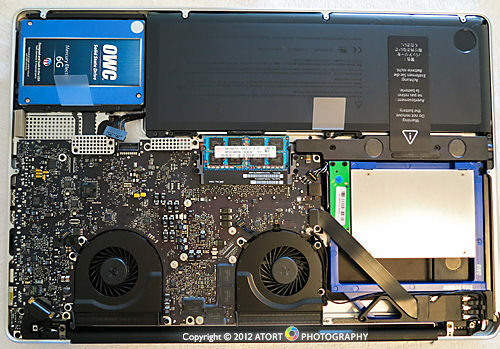 For example, I discovered that I had to install the 6G SSD drive from OWC in my main drive bay as opposed to the optical bay, which is where it can normally go. Make sure to ask or examine the exact kit you’ve chosen in case there are any limitations or guidelines you must follow. It’s not a big deal if you know all these details and insider secrets in advance. I ordered my MacBook Pro with 8GB of memory and a 500GB SSD drive from Apple. With the additional 8GB of memory to total 16GB and an additional 480GB SSD, I had essentially 1TB of SSD hard drive space. This is a huge benefit when on the road. For me, NO spinning drives, especially when I’m traveling outside the U.S. country, provides much more peace of mind. As a photographer, there is no better feeling than having the additional hard drive space. The additional memory allows for faster computing when working on images in Photoshop and I readily admit, as I’m sure you do, that the more speed the better. Increased workflow speed means spending less time in front of the computer. 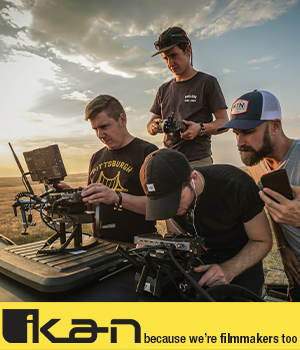 After all, we’re photographers, so we want to spend as much time shooting as possible…especially at beautiful locations for short periods of time. I did some speed tests with a stopwatch, processing and saving files, etc. and the speed seemed just that much faster. It wasn’t mind-blowing speed, but as I said previously, any extra help when processing a thousand images or more is a true advantage. For me, the additional drive space of the data-doubler kit is huge...let alone the SSD format. Now, when traveling I can have my OS and start-up drive content on one drive and have the additional 500GB drive empty ready to be either a backup or my main image destination, depending on how much I plan on shooting. If I need to burn a disc, then I simply connect the external burner via the USB port. The OWC DIY 480GB Mercury Electra 6G SSD Kit is a simple, quick and functional upgrade; and I say go for it because you won’t regret it! If you would like to see more of my work, then please visit my Website at www.atortphotography.com. For my daily doings and what type of images I’m shooting today, then join my Facebook page and hold on tight for a fun ride! It’s www.facebook.com/atortphotography. 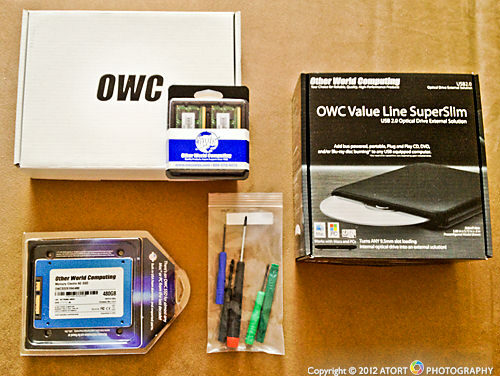 The OWC DIY 480GB Mercury Electra 6G SSD Kit starts at $85.99 and is available at http://eshop.macsales.com/shop/SSD/OWC/Mercury_6G/.